Professional supplement line Muscle Army! The high content of balanced protein in each serving. Promotes recovery after training. Scitec Muscle Army Warrior Juice 50-50% fusion of high-quality milk protein and popular free amino acids enriched by more than 100% of the recommended daily intake of Vitamin C per serving! Mixture of our protein in the middle of the whey protein, and in the middle of uncontaminated casein (instead of denatured casein lower quality). It makes WARRIOR JUICE is balanced, universal formula that can be applied at any time before and after training, during the day and at bedtime. 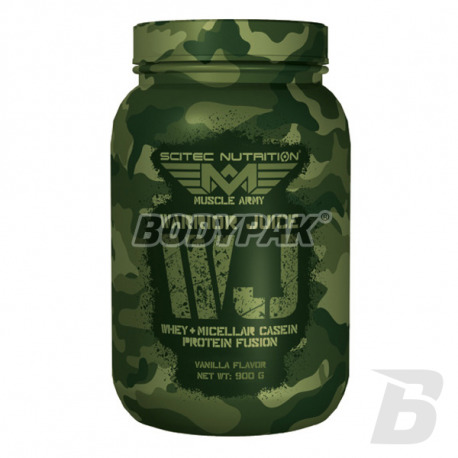 Protein preparation Army Warrior Scitec Muscle Juice is a universal protein for use during the day, after training and before bedtime. Protein supplement Scitec Warrior Juice is a source of nitrogen and essential amino acids that your body needs to grow muscle tissue. 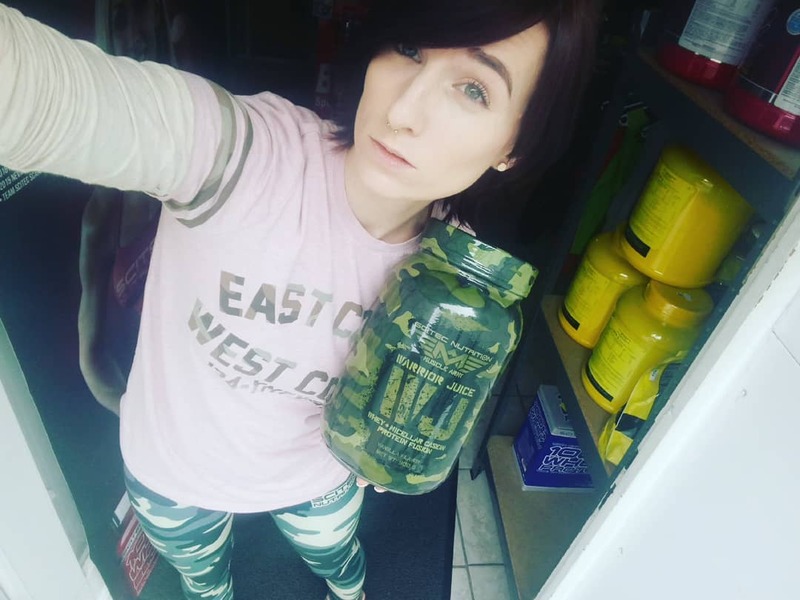 Protein mass Warrior Juice thanks to the content of high quality protein helps to maintain and increase muscle mass, and also to keep the bones in good condition. 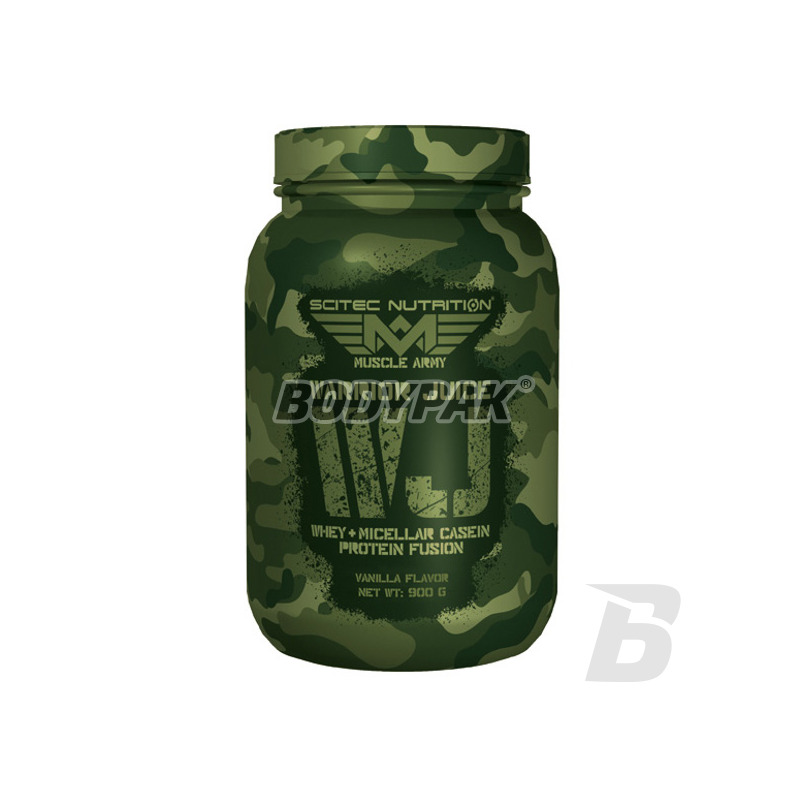 Therefore Muscle Army Warrior Juice is a great dietary supplement bodybuilding, during a cycle of muscle mass and strength! Supplements are protein nitrogen source and essential amino acid which the body needs for growth and maintenance of tissues. The proteins contained in the Army Warrior Scitec Muscle Juice contribute to the maintenance and growth of muscle mass and to maintain proper bone condition. Therefore, it is a great dodatekiem to a regular pattern of eating both during the diet, as well as trying to get the maximum muscle mass! Składniki: Instantyzowany Koncentrat Białek Serwatki, Koncentrat kazeiny micelarnej, Maltodekstryna, aromat truskawkowy, L-Arginina HCl, L-Glutamina, regulator kwasowości (kwas cytrynwy bezwodny), Substancja zagęszczająca (Guma ksantanowa), Substancje słodzące (Acesulfam K, Sukraloza), Kwas askorbinowy, barwnik (Pąs 4R). Troche mało białka w 100g produktu jak na taką cene. Ale smakowo daje rade - nie piłem chyba nigdy lepszego białka! Tak samo rewelacyjnie sie rozpuszcza, nie zostają grudki, nie pieni się. Super ! !